These four paintings are the largest Brian has worked on this spring. The one above is called 'The Breakaway'. 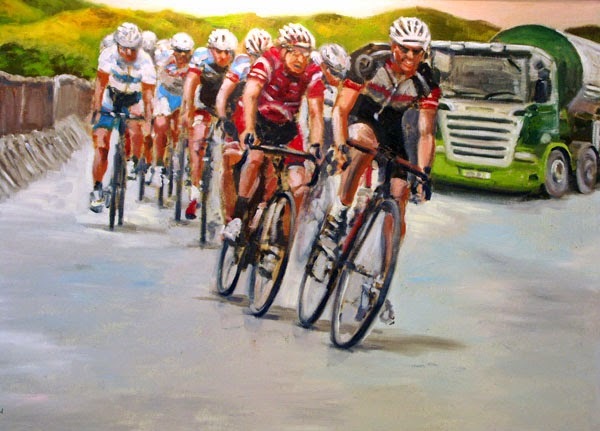 They will be on show at the Wensleydale Creamery, in the Kit Calvert Restaurant, during the lead up to the Grand Depart of the Tour de France in Yorkshire on Saturday, July 5th. 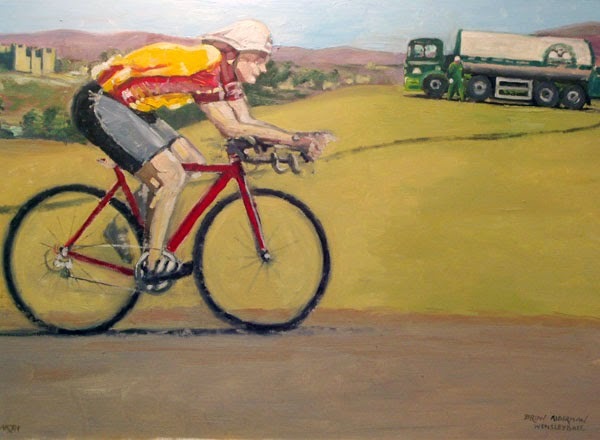 Three of the four canvases feature cyclists racing through the Dales with a Wensleydale Creamery milk tanker or cheese delivery lorry somewhere in the scene. The tanker is responsible for collecting the fresh milk from Dales' farms that goes into the cheese making, and delivering it to the creamery on a daily basis. 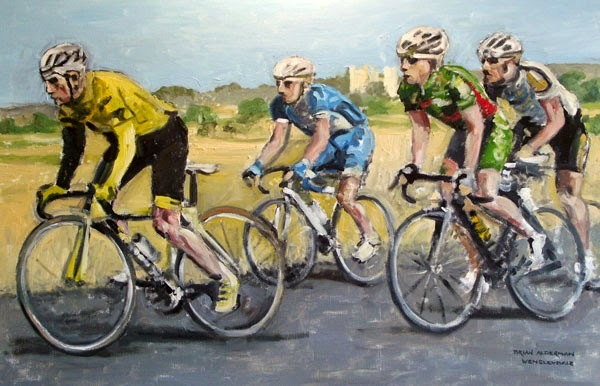 This is entitled 'Passing Aysgarth'. This is 'Reeth to Grinton'. High quality giclee copies will be available in the Creamery and in the Burtersett Gallery, either mounted or framed behind glass. 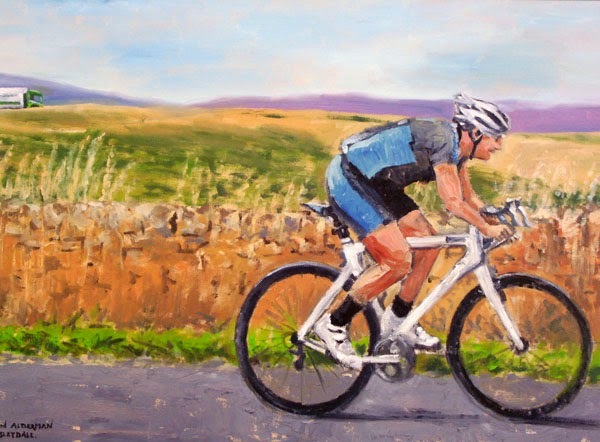 The original paintings on canvas, which are 36 inches by 24 inches, are also for sale at the Wensleydale Creamery.